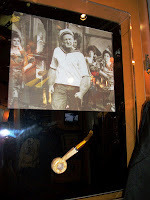 There are props all over Disney's Hollywood Studios from every age of cinematic history. Usually these displays are in well cultivated and highly publicized collections such as One Man's Dream or The American Film Institute's Showcase. Some of the hidden artifacts scattered around the park, however, are some of the most fun to stumble upon! Case in point, this worn down pipe. 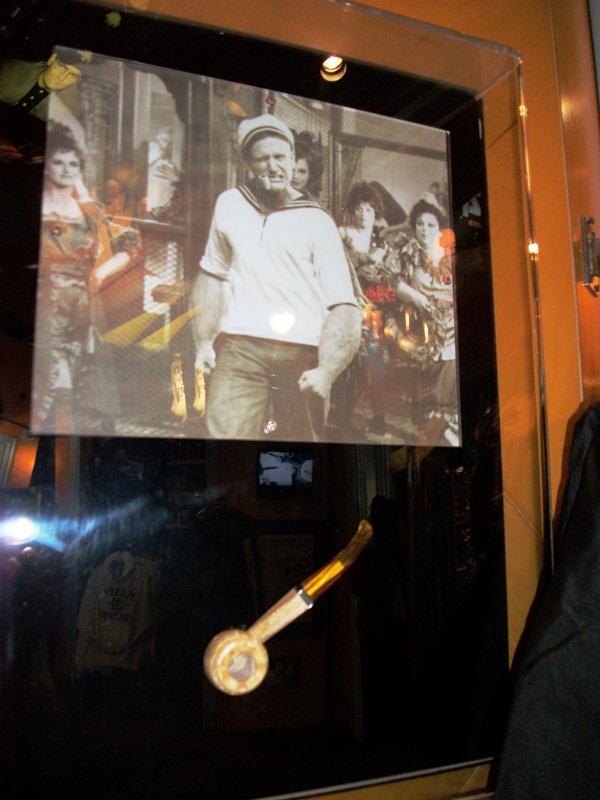 Displayed in the Planet Hollywood shop on Sunset Boulevard, this pipe was used by Robin Williams in 1983 feature. What role was it critical for? Well, isn't it obvious?!?! Why, it belongs Popeye the sailorman!